Here are the cards I have made this week, firstly New Job for Fran. These are the two for friends a day apart you might just be able to make out one has a thicker piece of tape behind the banner as it isn't going in the post. They will never know they have the same card. A pretty stamp, that, Alison - like the way you have just mounted it simply as it looks very effective. Love the idea of the dragonfly coming out of the lucky clover on Fran's. 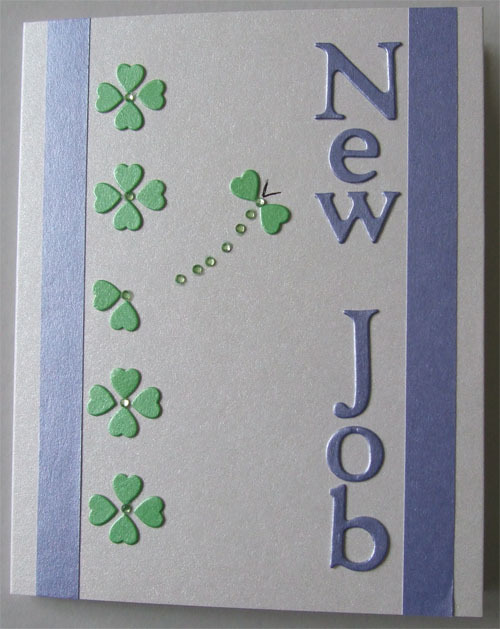 They are lovely cards, clever idea to use the clover shape like that. They are pretty, makes sense to do two the same/similar, as you say they won't know. Not that it matters anyway. Lovely cards Alison and liking your four leaf clover. 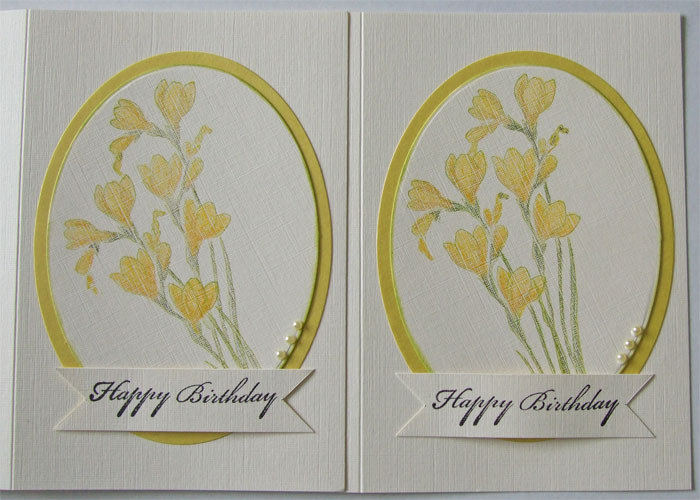 Lovely cards, very delicate both of them.